Revengeofthe5th.net: You Can Now Buy Your Star Wars Toys with 'Solo' Checks! 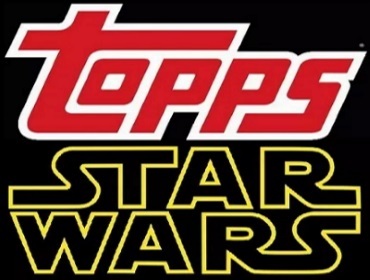 You Can Now Buy Your Star Wars Toys with 'Solo' Checks! 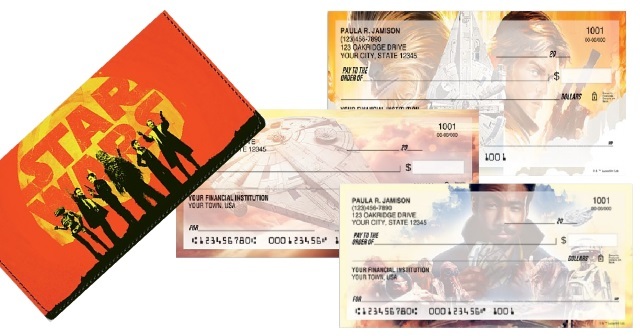 Star Wars can not only drain your checkbook, now it can be on your checkbook. Checks In The Mail is one of the country's largest check makers, for people who still actually use them. They currently offer a number of Star Wars check products, including a great 40th Anniversary Set of Checks using imagery from A New Hope (click here to check those out). 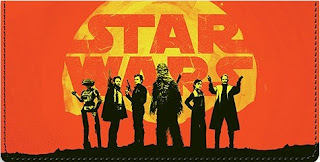 Now, they're offering a line of 'Solo' themed checks with all the newest heroes and villains in the galaxy. There's a great-looking check cover featuring the cast. 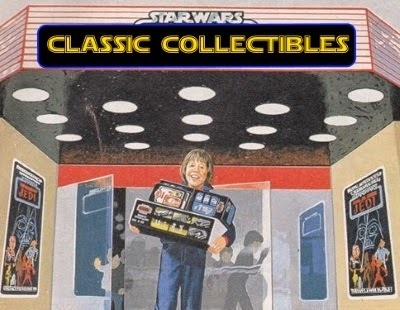 The checks themselves feature artwork from the posters, as well as some promotional art, as seen on other Solo products. 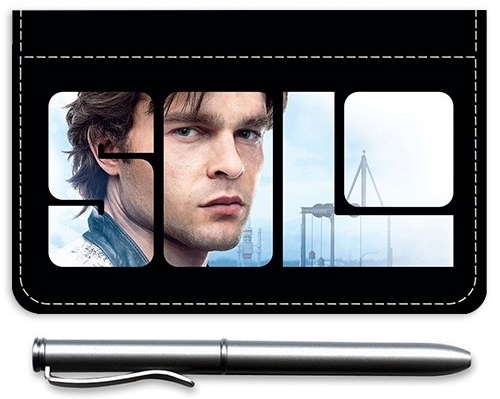 There is even a Solo-themed debit caddy (click here to order it). 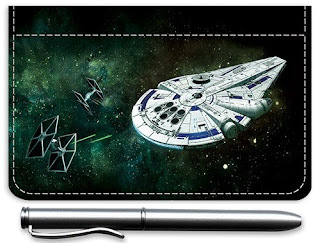 A second debit caddy features the Falcon. You can order it by clicking here. 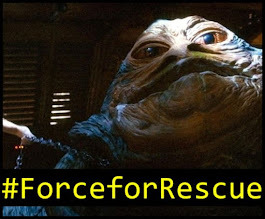 You can click here to check the "Solo' checks out or order some for yourself.